Cultivate@Work is an new online learning community developed to bring Morag Barrett’s insights from Cultivate, The Power of Winning Relationships to life. As a Cultivate@Work member you'll have access to a powerful library of resources developed for anyone looking to nurture Ally relationships and create an Ally Mindset culture at work. We are working on building our new community and resources. Fill in your email address below to be one of the first members of the Cultivate@Work community. When you sign up, you'll also receive a copy of the Cultivate 8-day Plan, a workbook to help you start using Cultivate in your working relationships. Yes I want to join the conversation! Why do I need to cultivate relationships at work? In today's competitive and ever-changing business environment, who you know and how you work with them matters more than ever. In short, relationships matter. The good news is you can take control of how you nurture your relationships at work. More importantly, you can ensure that you are the person others consistently ask to join their team. Cultivate@Work helps you achieve greater personal and professional success, and grow your Ally network. Access your online resources anytime and anywhere, using your desktop or any mobile device. Participate in an members-only webinar facilitated by Cultivate author and SkyeTeam CEO Morag Barrett. Listen and learn on the go with downloadable podcast interviews and videos from leadership and team development experts. Read and design your personal action plan and tackle your most challenging workplace relationships. How will Cultivate@Work help me? Morag Barrett is the CEO of SkyeTeam, an international human resources and leadership development group based in Denver, Colorado. She is also the author of the bestselling book Cultivate. The Power of Winning Relationships. Morag’s experience ranges from senior executive coaching to developing high impact teams across Europe, America and Asia. 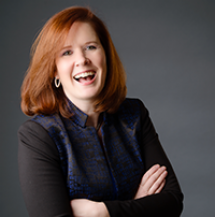 She is a highly effective speaker, trainer and executive coach. Sign up now for news, updates about Cultivate@Work. © 2015 SkyeTeam. All Rights Reserved.